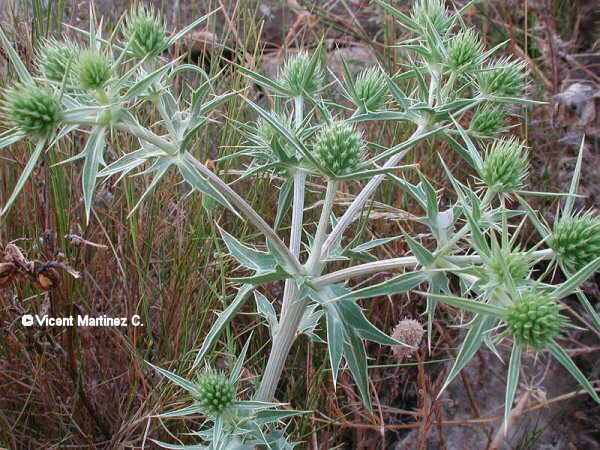 Photo of Eryngium campestre L.
Perennial plant of the Carrot family -Umbelliferae– up to 70 cm. Erect stems, greyish green. Pinnate leaves, divided in 3 lobes; lower leaves petiolated; upper ones sessile. Flowers in corymbs, white-purple, with bracts longer than them. By the side of the paths and dry grasslands.